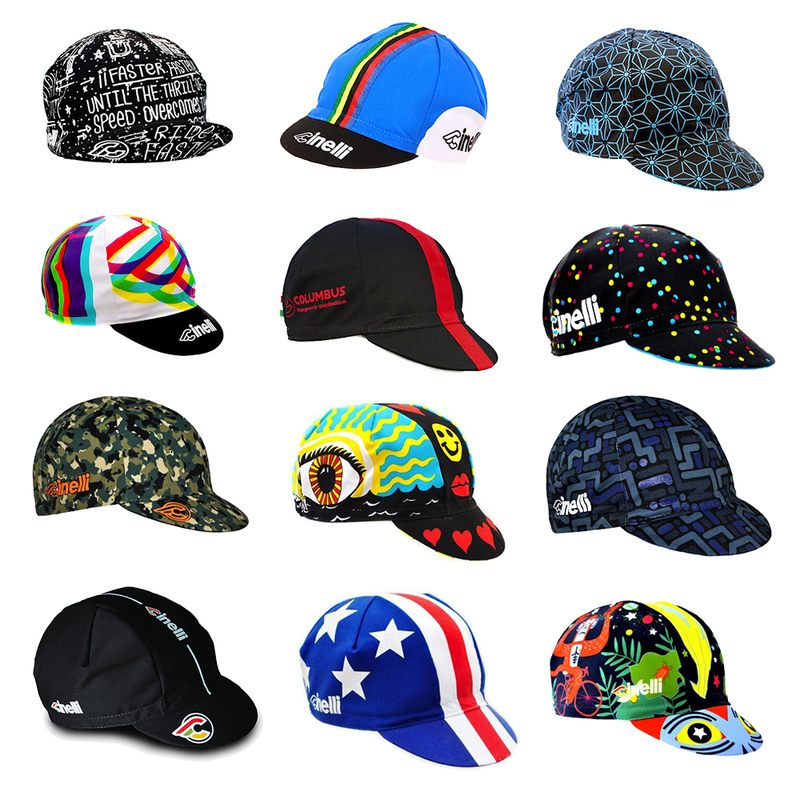 This quirky range of Cinelli cycling caps feature unique designs created in collaboration with some of the world’s best artists and designers, with some representing significant moments in cycling history and others just a pure expression of the designer’s creativity. These cotton caps, made in Italy are perfect for wearing under your helmet on colder, more unsettled days spent on the bike. Pro cyclists have been wearing them for years to keep the rain out of their eyes during wet races and to keep body heat escaping through their heads.